The contents of the Cargo ships had been effectively analyzed however the origin of the Nadion remained a troubling mystery. Where had the Cardassians procured such a massive amount on Nadion with out federation knowledge? All attempts to track the ghost cargo ships carrying the Nadion were faulted. Two venture class scout ships were launched to follow one of the freighters. The freighter veered into the Bad Lands, and neither of the Federation ships returned. The Federation needed to find a way to track the Cardassian Freighters while not allowing the Cardassians to realize that their operation had been compromised. In early 2407 a Klingon Vorcha class was discovered in the Athos Nebula with remnant weapon signatures consistent with that of a Son�a Cruiser. A Son�a ship was detected with in the Nebula, and was captured by a pair of Klingon Vessels. 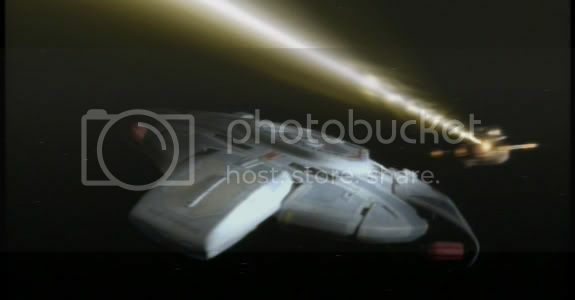 The Son�a Crew claimed they never intercepted the Klingon vessel, a claim their logs supported. The Klingons how ever demanded that the Son�a Crew stand trial for the deaths. The Son�a representative to the Senate insisted that there was nothing that could have been done, and that there was no clear evidence that there vessel had engaged the Klingon ship. Furthermore the Son�a claimed that the Klingons were in fact trespassing in Son�a Controlled space. 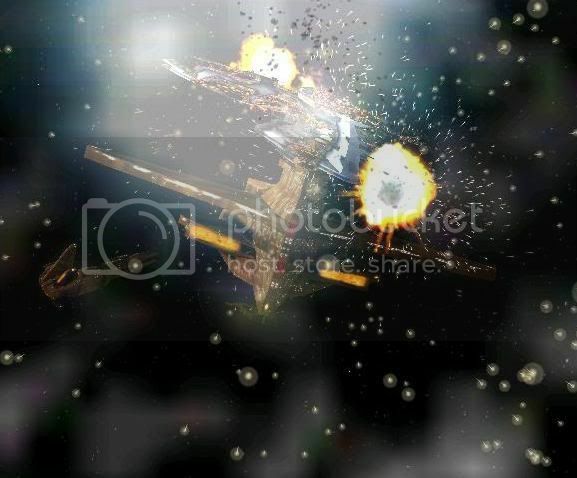 Nearly a week after the initial event a task force of 9 Klingon vessels under the command of Captain Ek�tor entered Kava�desh, a Son�a system, and destroyed R�jar a Son�a instillation. The Son�a forces were completely obliterated, and nearly 200 personnel were lost. The Klingon representative in the federation claimed that the attack was completely unsupported by the Klingon Fleet, and that it was the act of renegade warriors. The Son�a called for a full investigation, and as one Son�a officer put it, �See every last one of those Klingon dogs put down!� The Son�a representative left the Federation senate and refused to return until the Klingon fleet was contained. The Federation once again found itself embroiled in controversy. It pulled task force 31 of the 2nd fleet off of patrol, and ordered them to secure the renegade Klingon fleet. With the immediate threat contained, the Son�a returned to the senate to discuss a remedy to the situation. Before any progress could be made it seemed that another retaliatory attack was imminent. 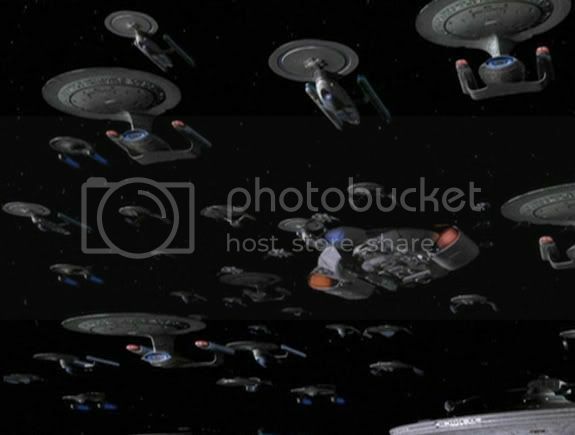 This time a group of Son�a cruisers were moving on a group of Klingon freighters. 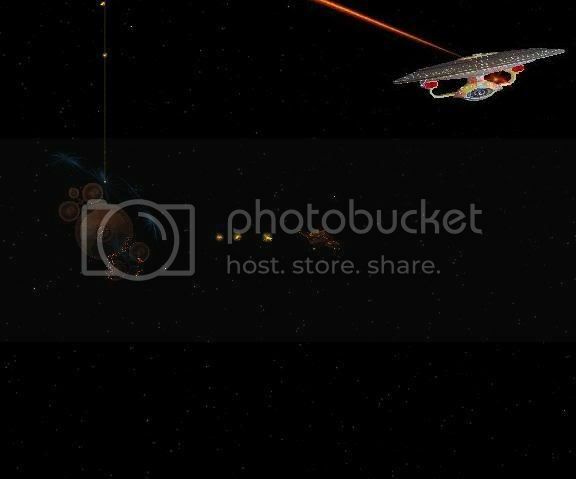 Task force 8 was directed to intercept the Son�a Fleet, and stop them with out destroying the vessels. The USS Truman had been helping to examine the initial Klingon ship, when the crew discovered that the weapons signature found on the Vorch class did not represent an exact match any known Son�a weapon. What ever destroyed the Klingon ship was not a Son�a vessel but rather, a vessel designed to leave residuals nearly identical to that of a Son�a warship. With this new information, the Klingon representative immediately issued a formal apology to the Son�a people for the attack on their outpost, and the renegade Son�a force was halted before any additional lives were lost. Both groups had to face the startling truth that they had nearly been driven to war by an unknown party. No additional residual weapon or drive signatures could be detected, but the Federation strongly suspected the Cardassians were some how involved. Tensions continued to rise through out the Alpha Quadrant in early 2407. The destabilizing forces which nearly pushed the Klingon and Son�a to war with one another had sent shockwaves through out the Federation. Alliances were shaky at best, and it seemed as though the federation was on the verge of a civil war. 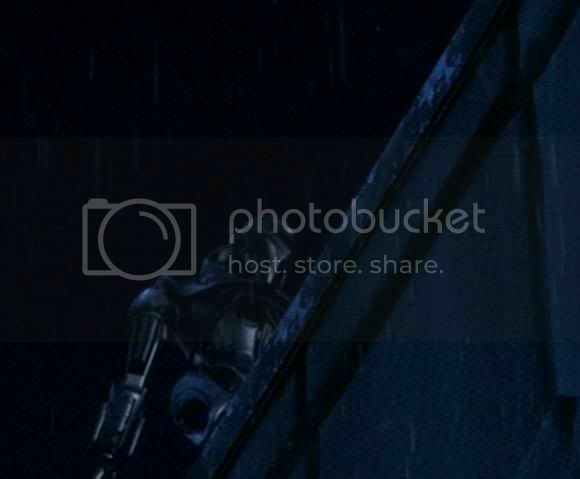 In 2407 the USS Vendetta was dispatched to ferry rear admiral Donavon to the Ol�nar mining conference. The Ol�nar conference was meant to support cooperation among federation members, and was held in orbit of Sherman�s planet. 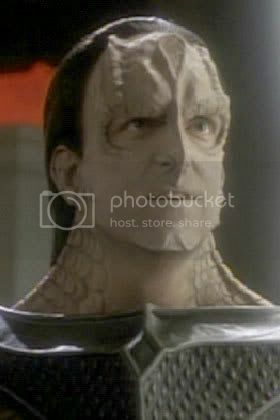 Even the Cardassians were in attendance to support a common theme of unity among the survivors of the Borg War. It was hoped that the conference would serve both to quell the unrest among the �Borg War� members of the Federation and address the growing supply problems throughout the fleet. The Federation faced a sever raw materials shortage, and it was believed that strategic reserves would be depleted before 2410 if new sources could not be secured. The Conference got off to a rocky start when unregistered warp signatures were detected near Sherman�s planet at the conference staging ground. The decision was made to move the conference to the Vendetta for security reasons, rather than risk compromising the talks. The Federation also had the Vendetta dispatch several shuttles to determine the exact origin of the Warp Signatures. The Conference was a tremendous success resulting in a renewed sense of confidence in the federation among many of the peoples represented. A trade agreement was reached to replenish the Federation�s raw materials reserve with what had previously been Tholian held planets. 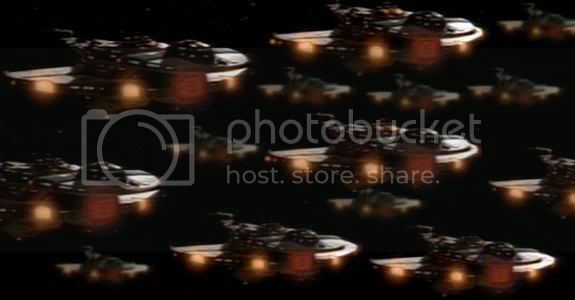 One of the Vendetta�s shuttle teams made a startling discovery, the Nadion the Cardassians were using was coming from Sherman�s planet. 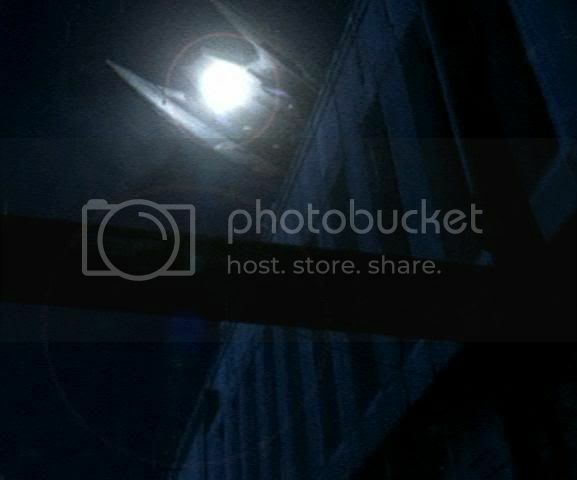 It was determined that the freighters had been carrying Nadion from a local mine on Sherman�s planet to a nearby privately held Klingon star base for processing. The vendetta dispatched teams into the mines in an attempt to determine how much Nadion had been mined, and if possible put a stop to the mining, and sent a shuttle to the Klingon Star Base to attempt to stop the illegal processing. 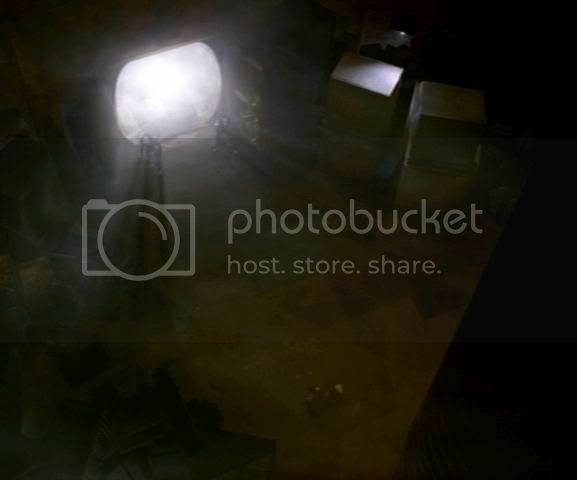 In the Mines the teams exposed an enormous Cardassian mining operation carried out in a massive underground mine by Centurions. The Cardassians had extracted enough Nadion to make an entire fleet of Dreadnaught missiles, and support their ships almost indefinitely. 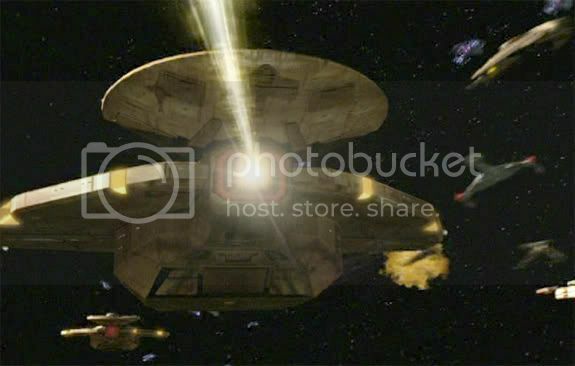 The Vendetta�s teams were successful in stopping the Cardassian mining operation by destroying the shaft, and all the Cardassian forces in it. The shuttle team tracked the warp signatures to a privately held Klingon mining base near the Bad Lands. The Klingon base had processed a vast amount of Nadion for the Cardassians, and was preparing to transfer it to a number of Cardassian Freighters when the federation officers arrived. The station commander was taken into custody, and several vessels were dispatched to secure the weapons grade Nadion. As the Ol�nar Mining Conference drew to a close the feelings of unity the Federation had enjoyed during the brief period after the Borg War seemed to return. Even the Cardassian Ambassador at the conference joined in embracing the renewed federation unity. How ever this sense of peace would not last long. The message reached every corner of the federation, and set off a mass panic. The Federation was in chaos. Previously peaceful planets were now on the verge of self destruction. Fuel was added to the fire, as Cardassian vessels pulled out of Federation space. Ships with Cardassian crew members were unsure of how to deal with their situation. The question lingered, was this a declaration of war? The Cardassian Government, under the Control of Fita Gul Venok had made vast territorial claims, stretching far beyond Cardassian boarders including a number of key Federation worlds. The Federation Senate stood firmly divided on how to deal with the Cardassian people. It was clear that the Cardassian�s territorial demands could not be met, but many in the Senate were not ready to commit to a full scale war. One of the strongest supporters of a War was Chancellor Martok. The Klingons adamantly demanded that the Federation address the Cardassian situation before their inaction was taken as a sign of weakness. Many members of the Federation how ever were unsure about how to address the situation. Even 7 years after the Borg War, the fleet was still rebuilding, and another war would be devastating. 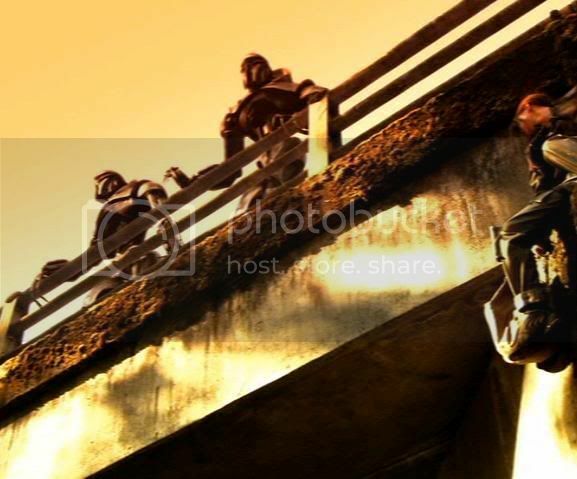 The Federation did enter into preliminary negotiations with the civilian branch of the Cardassian Government, how ever it quickly became apparent that any �Civilian Government� was no more then a front for a military dictatorship. When Negotiations broke down the Federation was left with no choice but to swing into action. 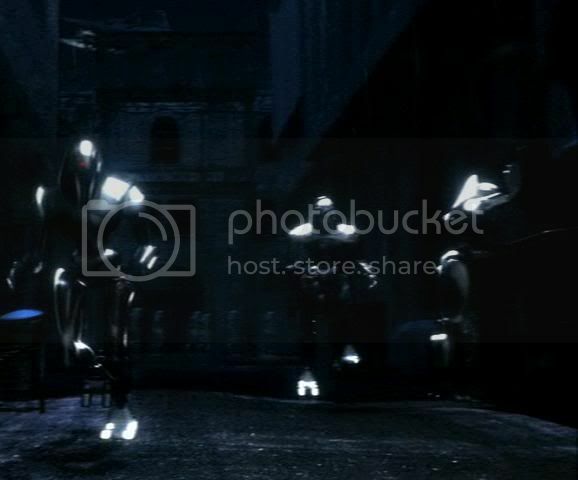 Earth�s defenses were immediately reinforced. 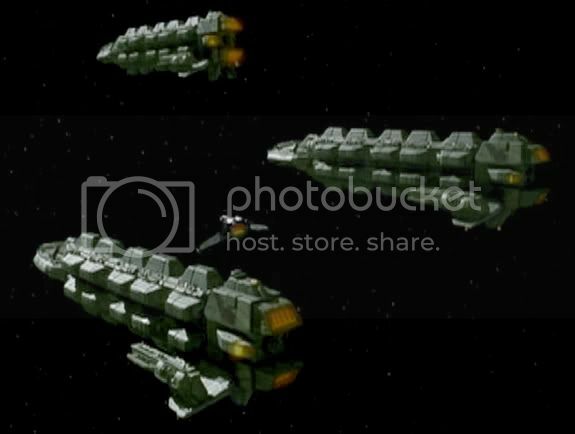 The second, third, and eight fleets were all called back to help establish a defendable parameter around key Federation Worlds and facilities. The federation was bunkering down for another war, one many felt it was unprepared to fight. The Re-exploration initiative was placed on hold well more ships were ordered to patrol a seemingly non-existent front. The federation had a sum total of over 550 vessels from the first and fifth fleets on patrol a new Cardassian boarder, how ever there were no Cardassian ships to monitor. For nearly a month the Cardassians were in a sealed state, no one entered, no one left. The Federation was unsure of what to expect, and those with family and friends in what was now Cardassian controlled space feared for their safety. No one in the Federation knew the Cardassian�s would show their hand with in the next two days. The Federation would not need to wait long to find out what the Cardassians had planned. The USS Merrimac was on patrol with two Defiant class escorts when a force of three Hutut class Dreadnaught Carriers warped into weapons range. The Two Defiants were easily overcome leaving the Merrimac to fend for herself. 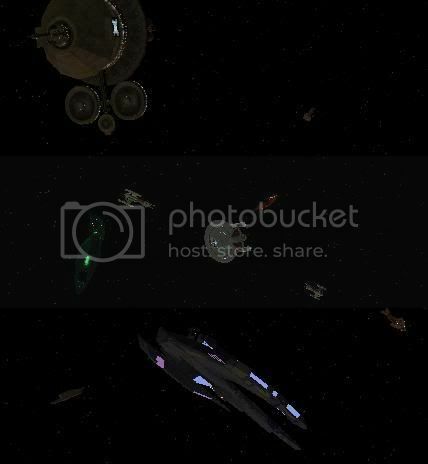 The Hututs disabled the Merrimac�s engines and shield generators with in the first ten minutes of combat, leaving the ship helpless, dead in space. The Hututs then docked with the Merrimac and began to board in waves. The Cardassians had converted several Hututs to carry centurions rather then fighters, allowing them to board Federation star ships in mass. The Merrimac was captured by the Cardassian forces, and brought back to deep with in Cardassian space. The Cardasians continued to engage the Federation, picking ships off one by one. The Federation lost four systems in the course of a month as the Cardasians marched forward virtually unhindered. It was feared that they would reach Roslin Station with in the week. 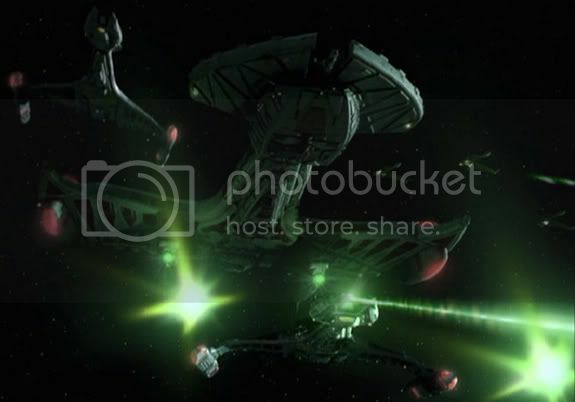 The Federation reinforced its patrols doubling the number of federation vessels on the boarder, how ever the Cardassian�s continued to hunt down individual ships. Starfleet tried shifting forces, and changing patrol schedules, but the Cardassians continued to seemingly pick off federation vessels at their leisure. 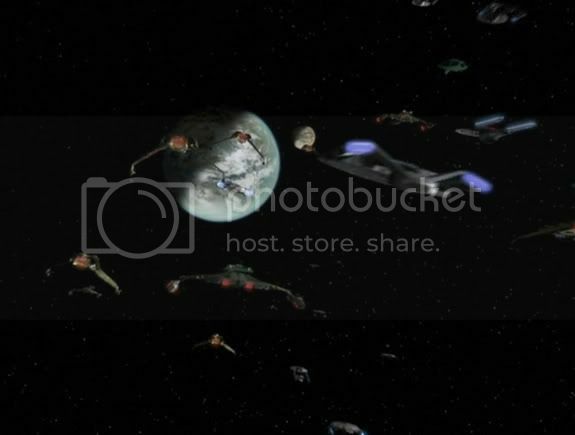 A month after the Merrimac was taken a Cardassian task force of over 15 ships arrived at the McCoy Re-Supply Depot. They demanded the entire contents of the station be surrendered. 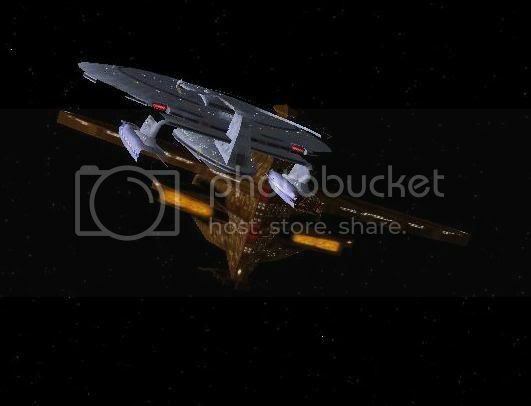 The USS Nobel, which had recently left the station, returned to find the Cardassians bombarding it. The Nobel went to work, holding off the Cardassians while the station brought its weapons online. However, their efforts proved to be in vain. The Cardassians overwhelmed the Nobel, destroying it, and moving on to the depot. Once they had taken everything they could store in their freighters they destroyed the station, leaving no survivors. 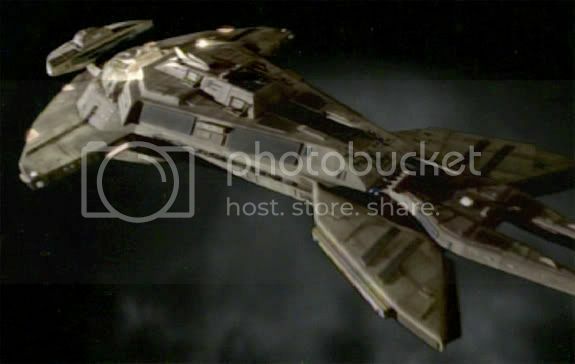 The Vendetta had been on patrol for nearly two months when it came under attack from a wolf pack of three Cardassian Hututs. The Cardassians, using the same strategy they had used to assault the Merrimac, engaged the Vendetta. 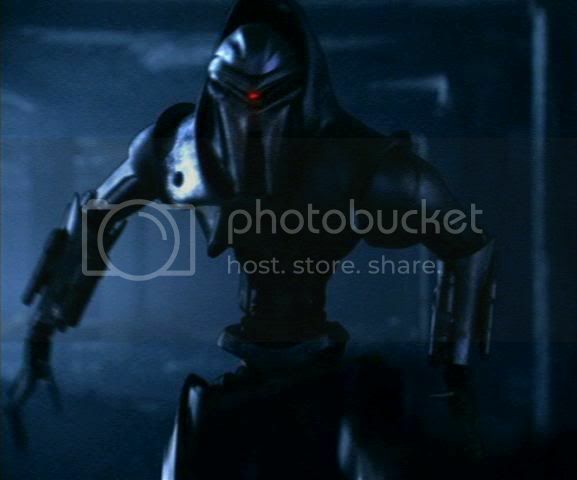 The Vendetta was quickly overwhelmed by the Cardassian assault force, and already suffering from system failures as a result of a Cardasian computer Virus, was boarded by Cardassian forces. For over a week the crew of the Vendetta fought off the Cardassian offensive. Crippled beyond function, the USS Oregon assisted the Vendetta in fighting off the Cardassian War Ships and returning to the Aurora. This string of attacks continued well into 2408. In early 2408 Starfleet Intelligence reported that the Cardassians were massing a fleet in the Tibrus system in preparation for an attack against a federation supply depot in the Argonas system in orbit of Aron IV. The Aron IV supply depot was the central federation base in the Evor�c sector, and was a critical federation logistical position in the region. The federation immediately dispatched a fleet of their own ships into the region. The Federation force reached the Aron IV supply depot a full two days ahead of the Cardassian fleet, and set up a defendable perimeter. General Kr�tang informed the Federation of a base his family operated in the region which could be used to help support the Federation fleet. The Majority of the fleet then moved into to Tycron system to engage the approaching Cardassian Fleet. The Federation forces waited for six days before the Cardassians arrived in force. A force of over 200 Galors warped into the Tycron system, engaging the Federation Fleet. The Federation forces held in position for nearly 12 hours before the Cardassians broke the line driving towards Aron VI. The Cardassians captured the supply depot, and destroyed any remaining federation forces in the area before capturing the Klingon outpost. The Cardassian offensive continued for the next two weeks, virtually unimpeded. The Cardassians had taken the Evor�c system with in the month. The Federation was left to lick its wounds as the Cardassian forces contemplated how to manage their newly acquired territory. By mid 2408 Cardassian forces had captured a number of Class M planets with large non-Cardassian populations. The Federation attempted to reach an accord with the Cardassian Government to remove Federation citizens from occupied worlds, but no agreement could be reached. Meanwhile horror stories of Cardassian oppression continued to flood from the occupied territories. Those treated the worst were Federation officers trapped on occupied worlds. Stories circulated through out the Federation of unspeakable Cardassian cruelty. Rumors of Cardassian actions shocked many in the Federation and were reminiscent of the stories emerging from Bajor during the occupation. The Cardassians enforced strict occupational laws greatly restricting the activities of the Federation citizens on the occupied worlds. On worlds with natural resources the Cardassians were quick to establish labor camps, while on other worlds rumors spread of wide spread extermination of local populations. The Federation launched multiple operations to extract Federation officers and civilians from the occupied zone, none were successful. The Bajoran people continued to compel the Federation to retrieve the Civilians in the occupied zone. 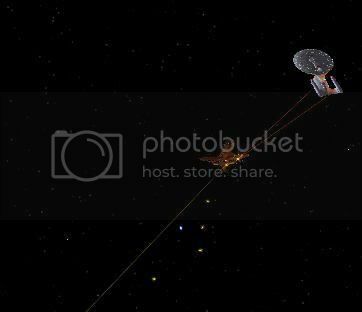 The first recorded planetary assault took place at A�vol. Cardassian war ships bombarded planetary defenses and major cities from orbit for days reigning down destruction, but worse was yet to come. After the initial bombardment massive numbers of Centurions were deployed to the surface. 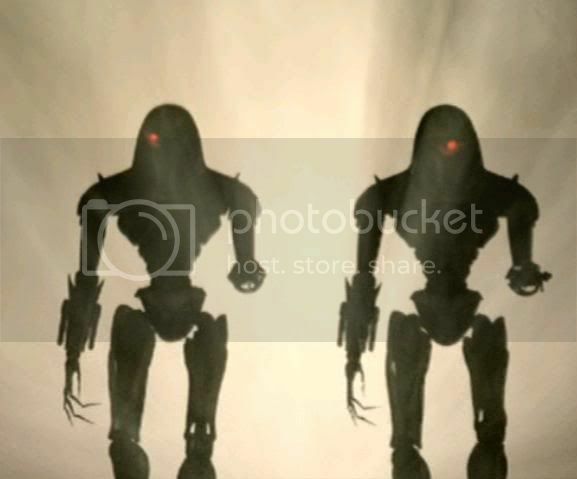 The Cardassians claimed these units would assist the remaining civilians in relocating to a nearby Federation outpost. When refugees arrived, the Cardassian forces opened fire, killing every one in sight. These same stories echoed through out the occupied territories, and the obliteration of entire worlds sent shock waves throughout the galaxy. The genocides of the occupied worlds did not stop with Federation citizens. The Cardassians wiped out hundreds of native species. The most prominent example of this kind of atrocity was the Slaughter at Nev�talc. 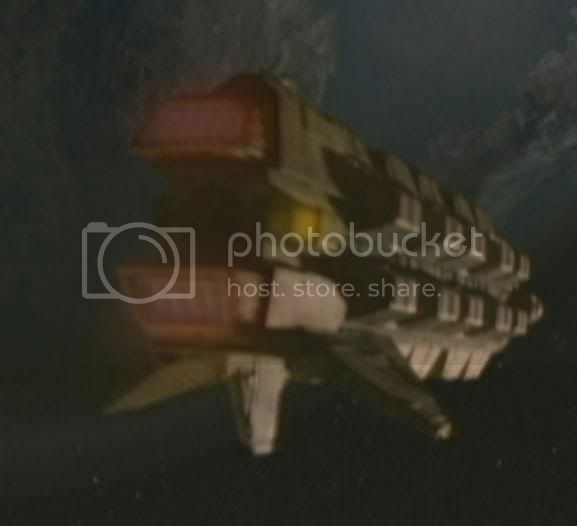 It was unclear why the Cardassian�s took such an interest in Nev�talc, but three days after the Planet was captured the Cardassians began constructing a massive planetary base at the polar region. The Cardassians then began the systematic elimination of the native population, killing an estimated 4 billion people over a two month period. The Cardassians continued their extermination of non-Cardassians on planets in their space through out 2407 and 2408 as the federation struggled to hold out against perpetual assaults. Facing a seemingly endless stream of Cardassian war ships, and continued fracturing with in the Federation, Starfleet found itself trapped, un able to rescue those held captive in the occupied territories. As word continued to seep out of the horrible acts brought upon those under Cardassian occupation the loudest voice for a full assault continued to be the Bajorans. The federation could no longer turn a blind eye to the suffering of its people at the hands of the Cardassians. The Federation decided to offer the Cardassians several Federation held worlds with large Cardassian populations in exchange for the release of the civilian populations in the occupied territories. The federation offered to surrender three systems to the Cardassians in exchange for the evacuation of the civilian populations in the occupied territories. Several nebula class vessels were dispatched to the colonies to pick up the few surviving federation civilians and perSon�al. Loaded with over 40,000 civilians and refugees each the ships departed to return to federation space. After only 10 minutes at warp several Hutut class vessels began to lay siege to the ships. With most of their armaments and armor removed to increase their refugee capacity the ships defenses were easily overcome, and were destroyed with a loss of all hands. Among those killed when the evacuation ships were destroyed were a large number of Klingon Civilians. The response to this action from the Klingon people was almost immediate. 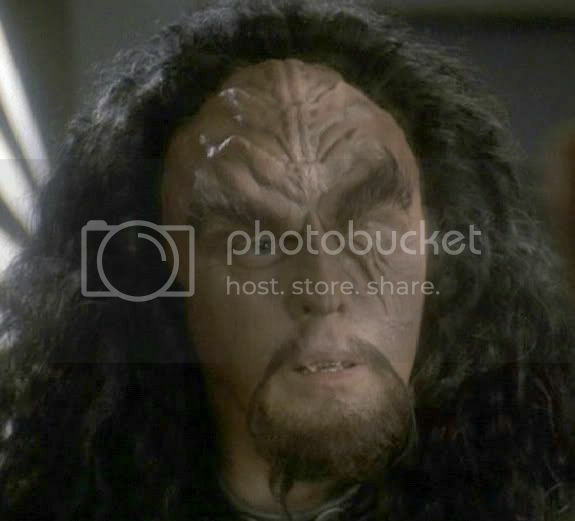 Chancellor Martok took nearly 100 Klingon ships into the occupied territories, and sacked every Cardassian base they could, taking supplies, weapons, and what ever else they could find. The Klingon retaliation lasted nearly a week before the Klingon vessels fell back to Federation space.